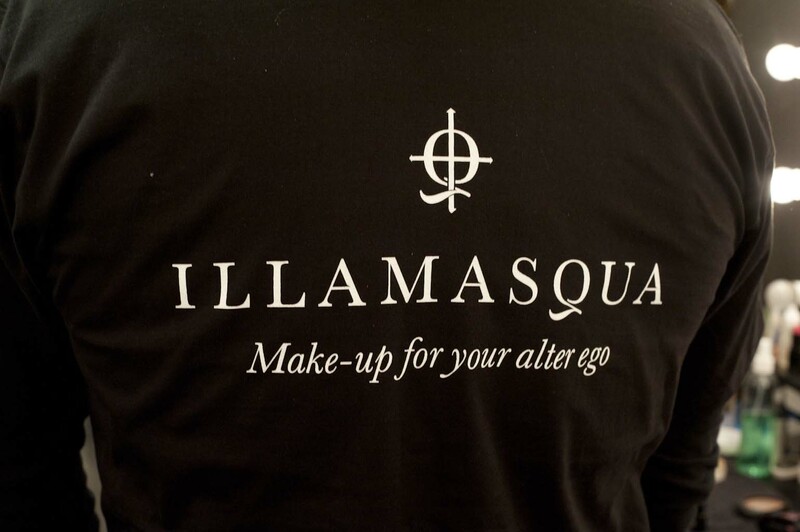 Illamasqua’s Creative Director Alex Box and I headed over to Sydney, Australia to work with our retail partners Myer for the biggest show of the year. 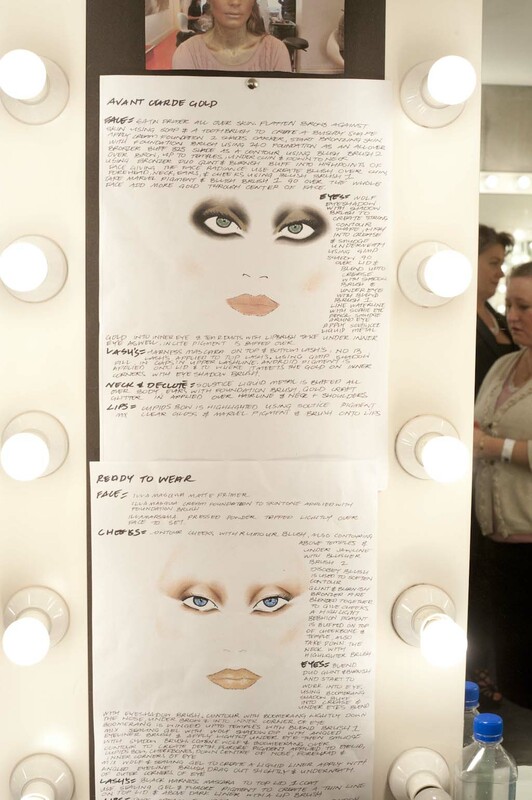 With over 75 models, 23 make-up artists, 7 nail artists, a horde of hair stylists and a troop of this was one epic show. A call time of 7:30am gave us enough time to prep the three rooms dedicated to make-up. The main room – headed up by Alex Box – was the Avant Garde room, full of pigments, glitter and a whole lotta golden girls by the end of the day, I will be posting a look break down later on in the week. The second room consisted of a team headed up the wonderful Christabel Draffin [makeupmole] who were creating beautifully sculpted, contoured Ready To Wear looks – breakdown to follow. We were very lucky to work with some of Australia’s top make-up artists and we were thrilled with the final results of all the looks. We had a few models to get ready for the 2pm press call, as the main show wasn’t until 8pm in the evening and to make the morning papers, there needed to be an earlier photo opportunity. We also had visits from the beautiful Jess Hart, who kindly agreed to meet-n-greet with some press alongside Alex Box. 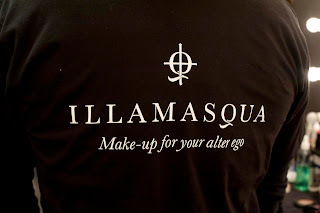 She was really great, and her make-up artist Sue Marshall [www.suemarshall.com] raved about the Illamasqua products that we gifted her. I will be posting another link this week that will give you a break down on how Sue created Jess’ gorgeous, glossy look for the show. The models were all very patient as it was pretty cold backstage, but the atmospheric location of the CarriageWorks on the out skirts of Sydney city centre was very imposing and impressive. The guests started to arrive around 7pm, including the supermodel Jerry Hall, the MTV VJ and model Ruby Rose [who was also showcasing her new collection] Charlotte Dawson, model Rachel Finch and Myer Spokesmodels Jennifer Hawkins, Jess Hart and Kris Smith. With a 3D architectural sculpture of a giant shell, and the runway spilling forth like a wave of golden sand, the scene was set for one of the most epic catwalk show I have ever seen. The renowned architect Chris Bosse was the creative mind behind the show – he was the creator of the iconic Beijing Water Cube at the Olympics – and even the lighting evoked a sunrise and sunset. Beautiful. Thanks to Chrissie Hall [www.chrissiehall.com] for her photography.